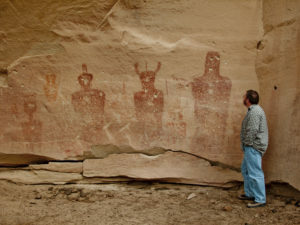 The weather looked clear enough to justify a trip to the Moab area so David and I jumped in my Ford Explorer and headed south from Orem, Utah. 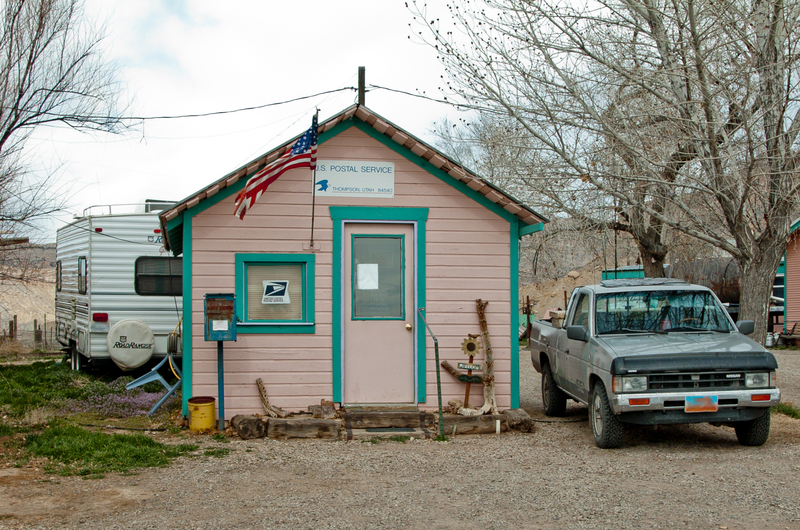 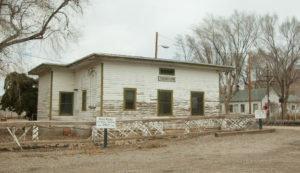 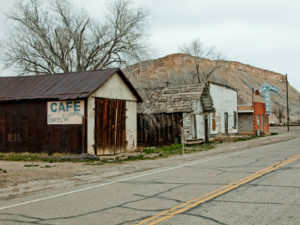 We first stopped at the small community of Thompson Springs, north of Moab and east of Green River, Utah. This community is part ghost town, part current residences and part train stop… though I’m not sure why the train would still stop here. 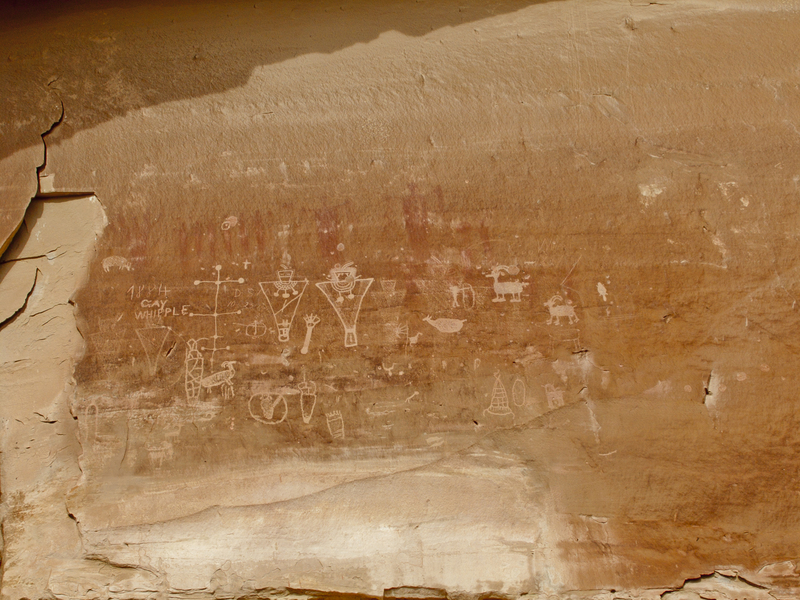 After driving north through Thompson Springs, we entered Thompson Canyon and about three miles later, we parked at the Indian rock art site. 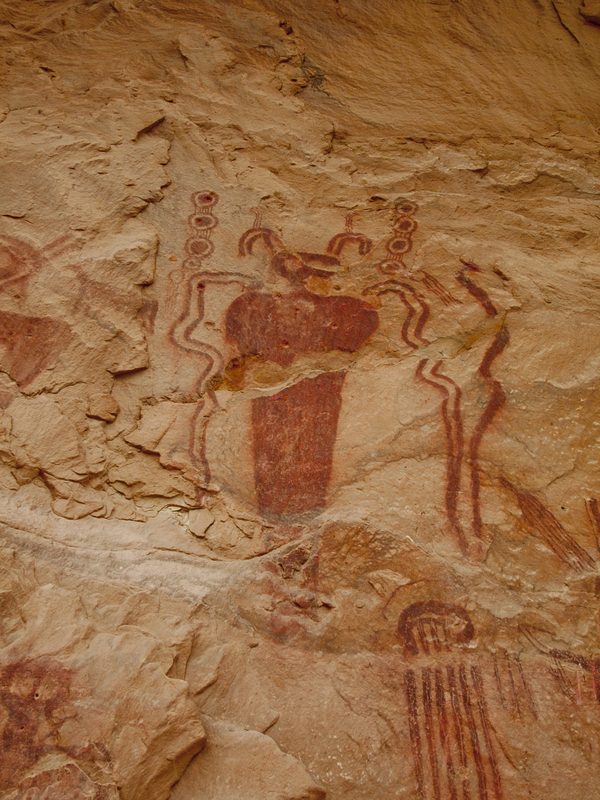 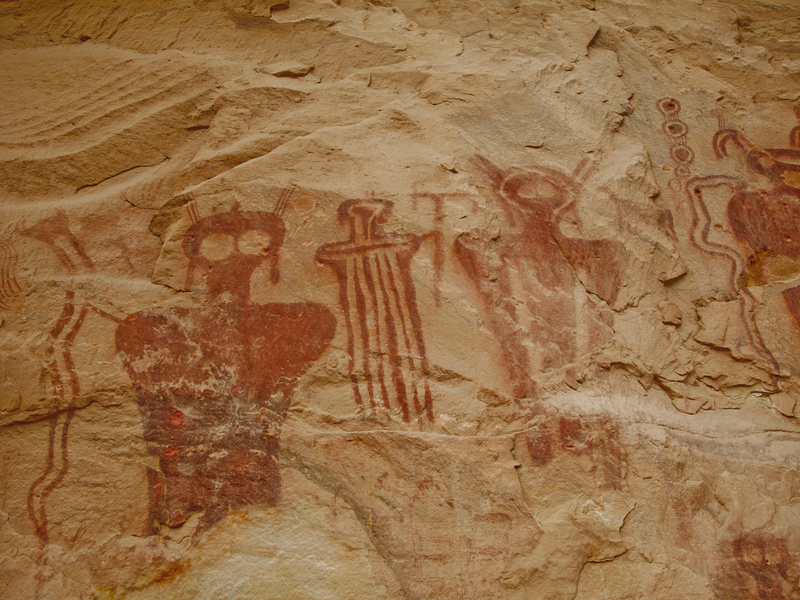 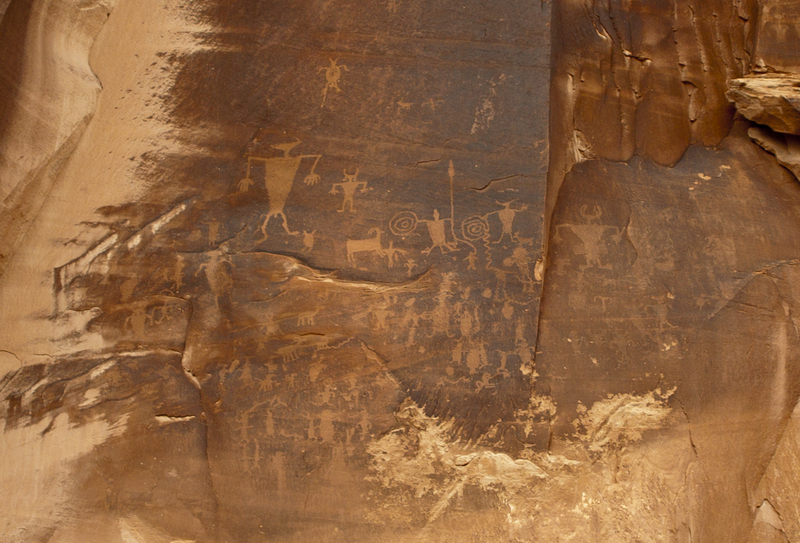 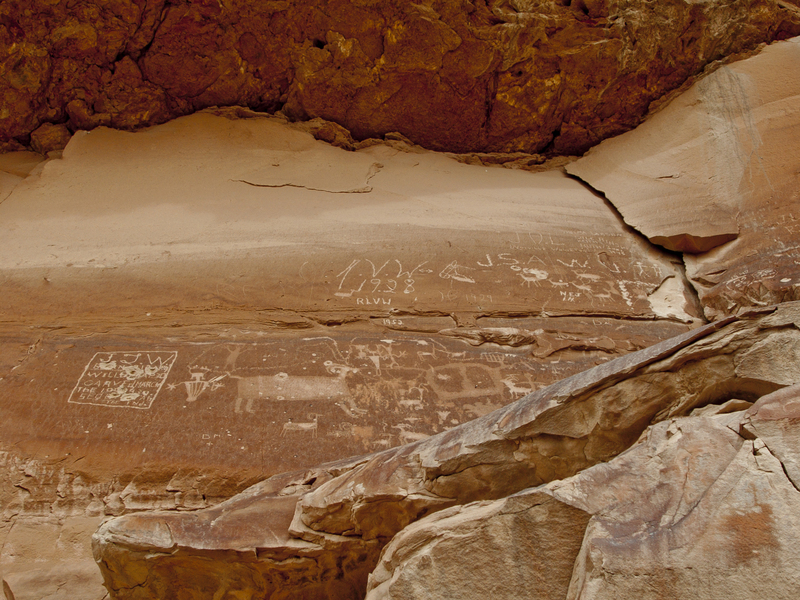 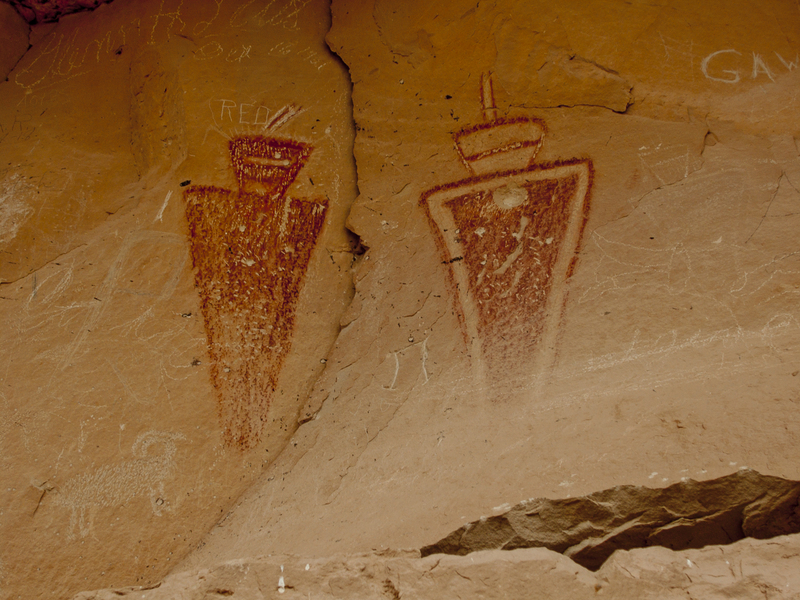 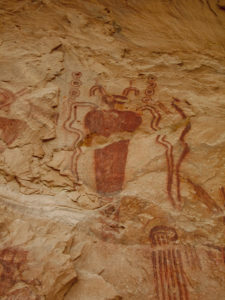 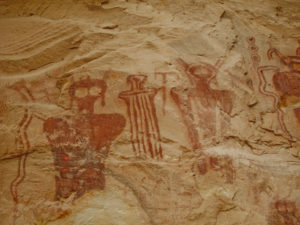 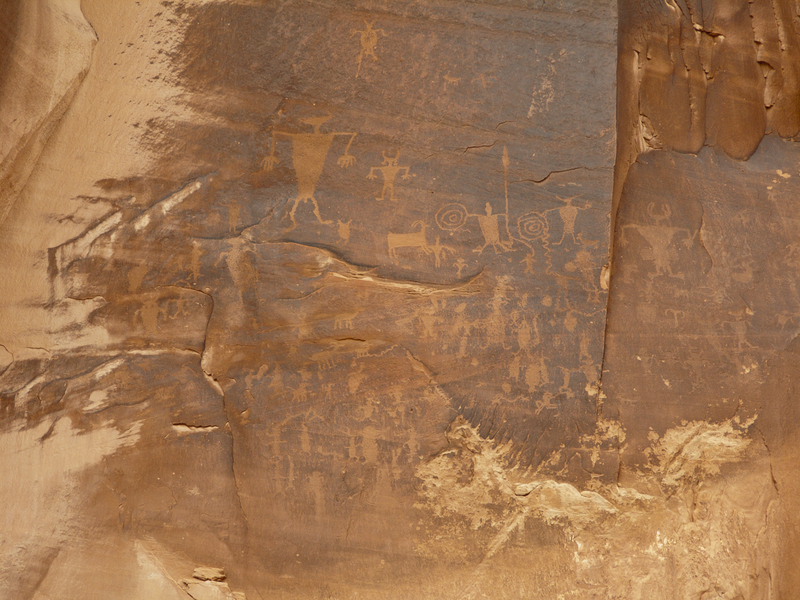 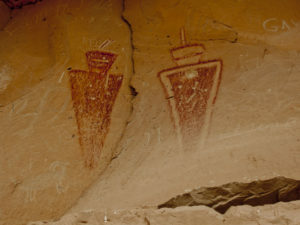 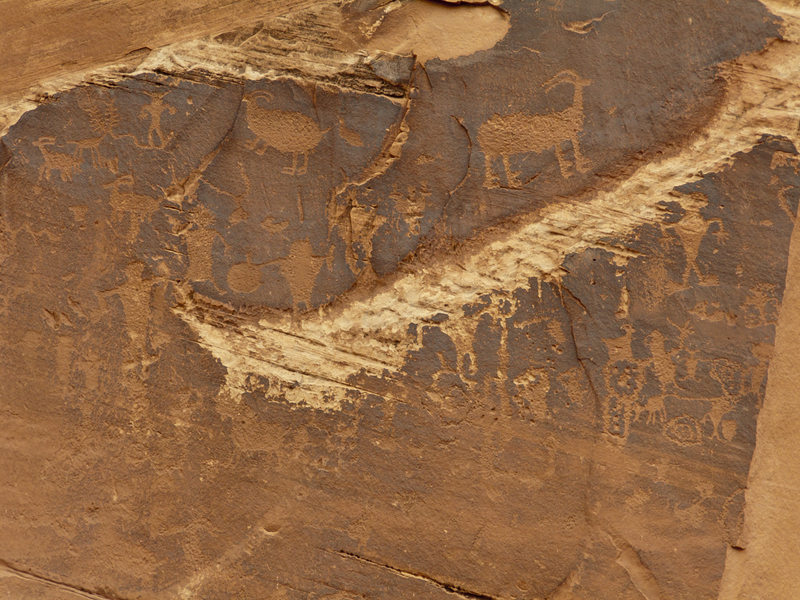 This is a fine collection of both petroglyph and pictograph type glyphs, of varying ages (some art was created over the top of earlier drawings) and of varying subjects. Some of the Indian glyphs are of fairly recent addition (last hundred years or so — Indian and non-Indian) while much is obviously of very ancient origin. 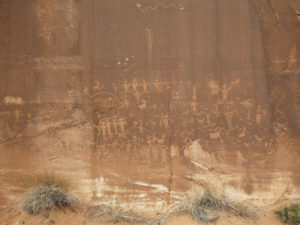 While much of the art work can be found on the west side of the road, there are additional panels a short distance to the north in a corral area. 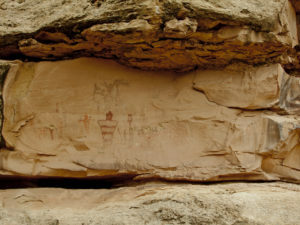 We were here to investigate a natural arch which turned out to be a small Class D arch opposite the first rock art panels, on the east side of the drainage. 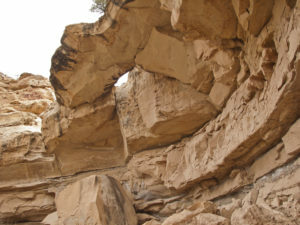 We called it Thompson Canyon Arch. 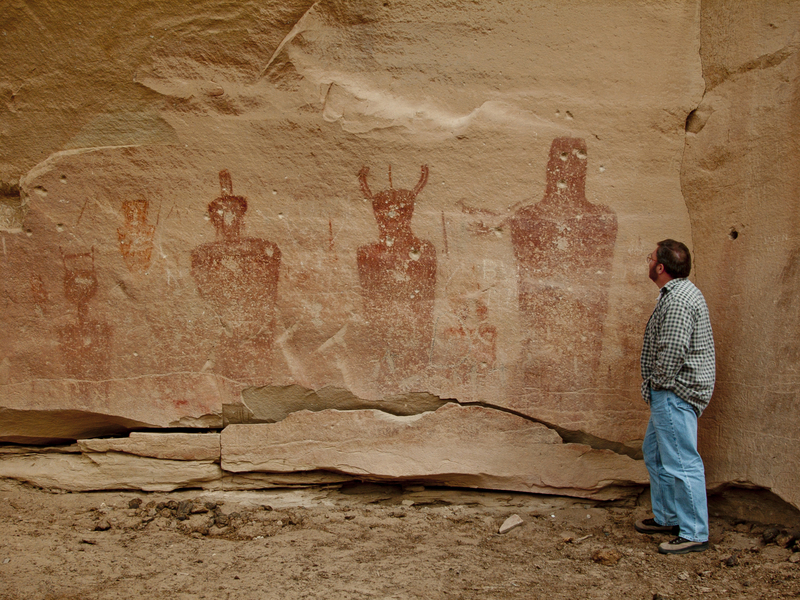 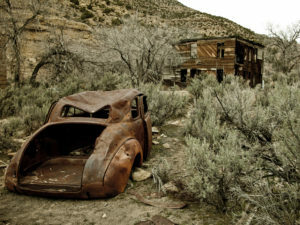 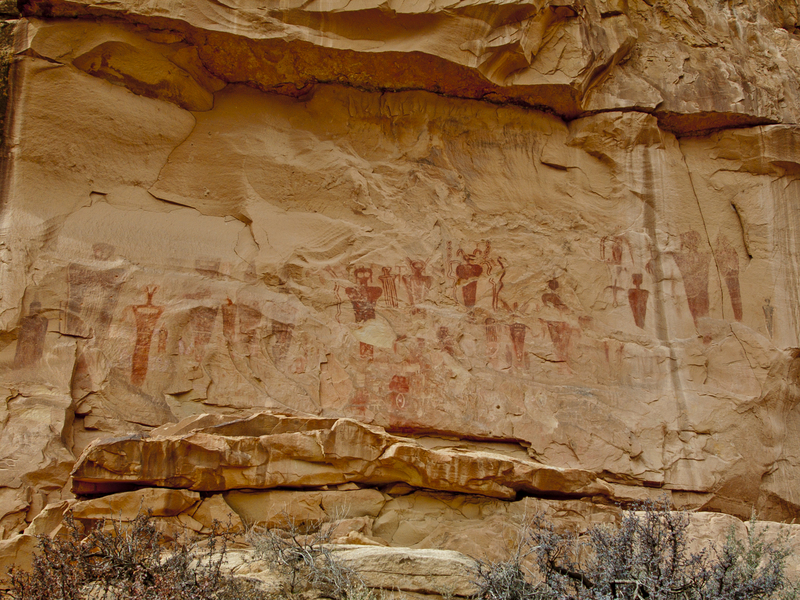 Since we were in the area, we continued north and then took the east fork at the old cemetery so we could visit the ruins of Sego, Utah. 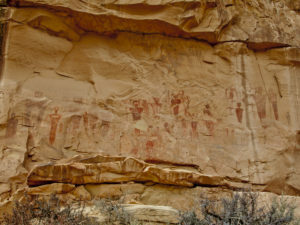 We then headed back to the I-70 Freeway and then south on the Moab Highway. Then before hitting the Colorado River bridge, we turned east and south on the Potash Road. 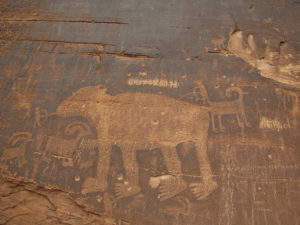 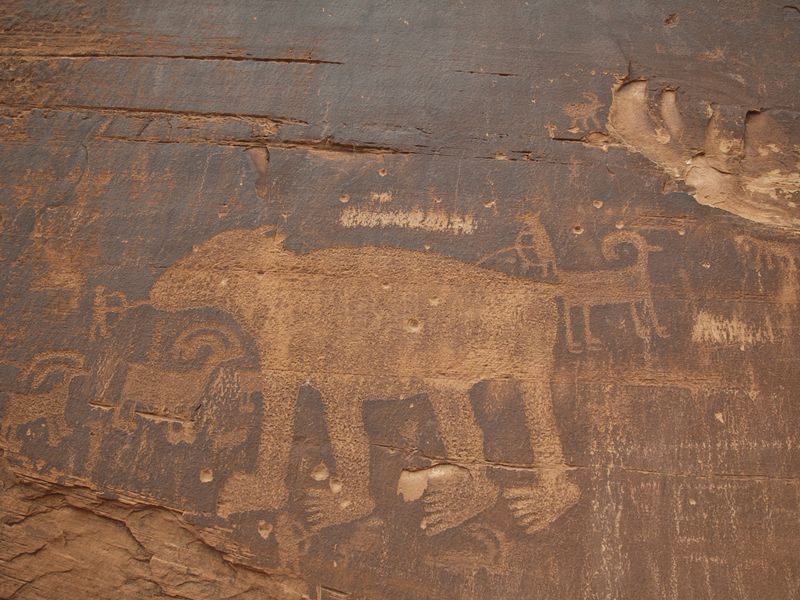 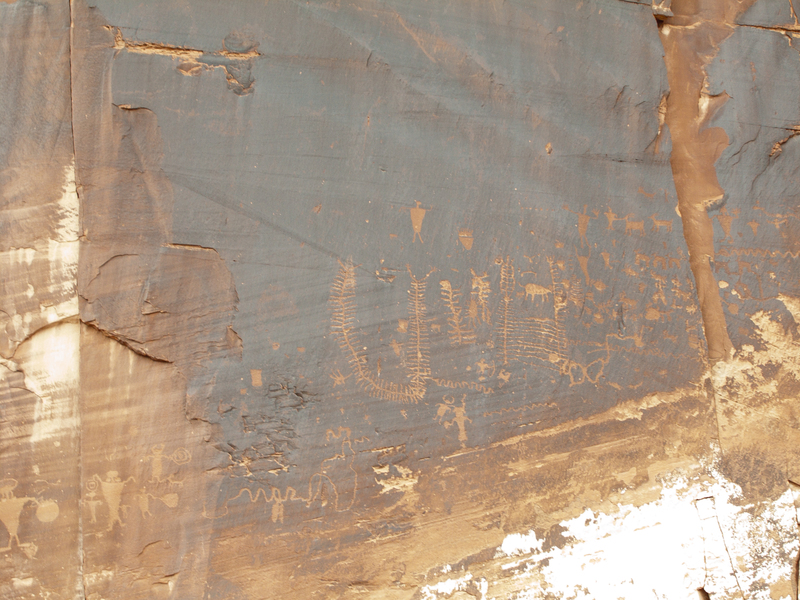 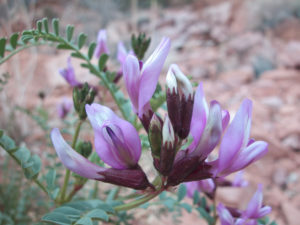 This allowed us access to the Moab Portal and the paved road along the north side of the Colorado River. 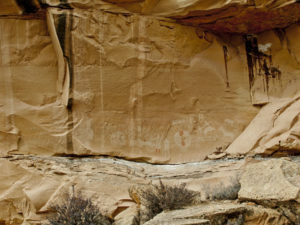 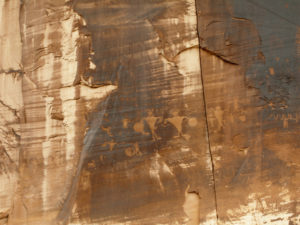 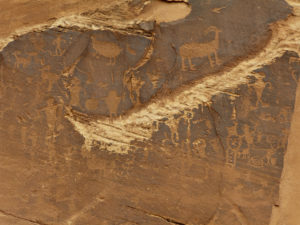 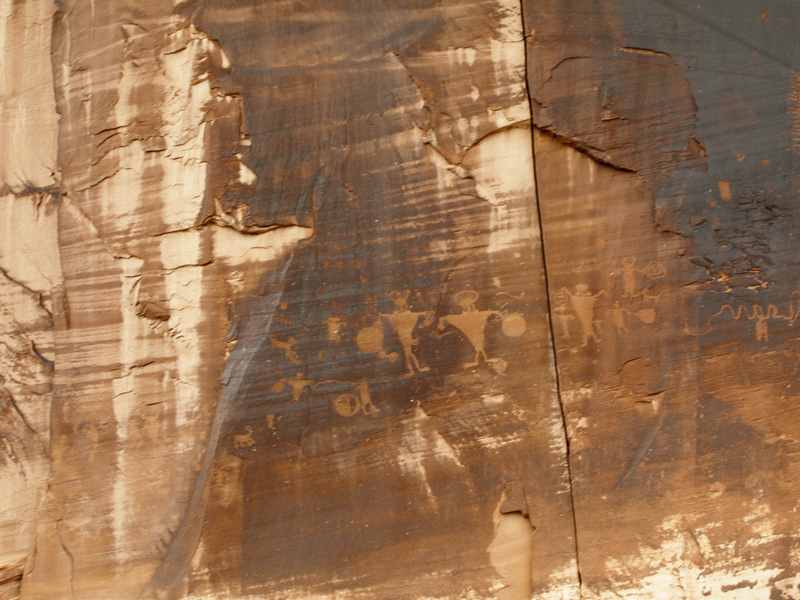 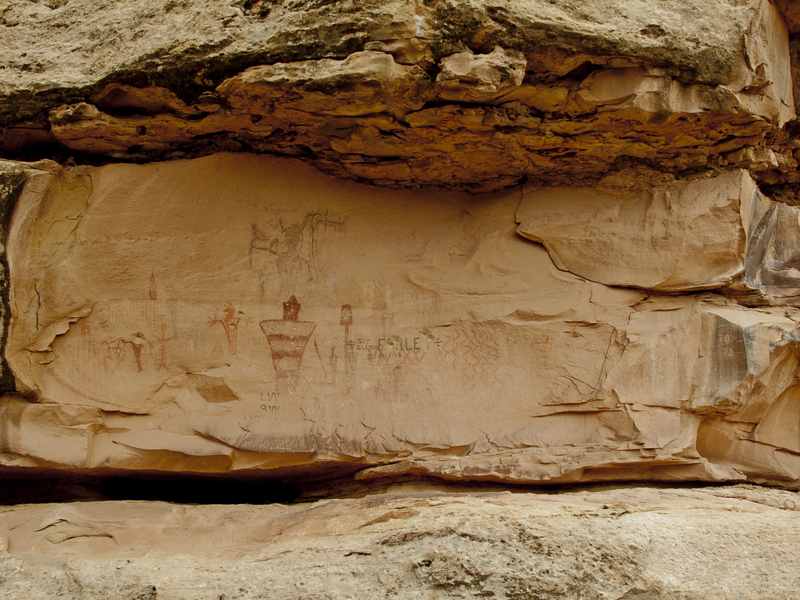 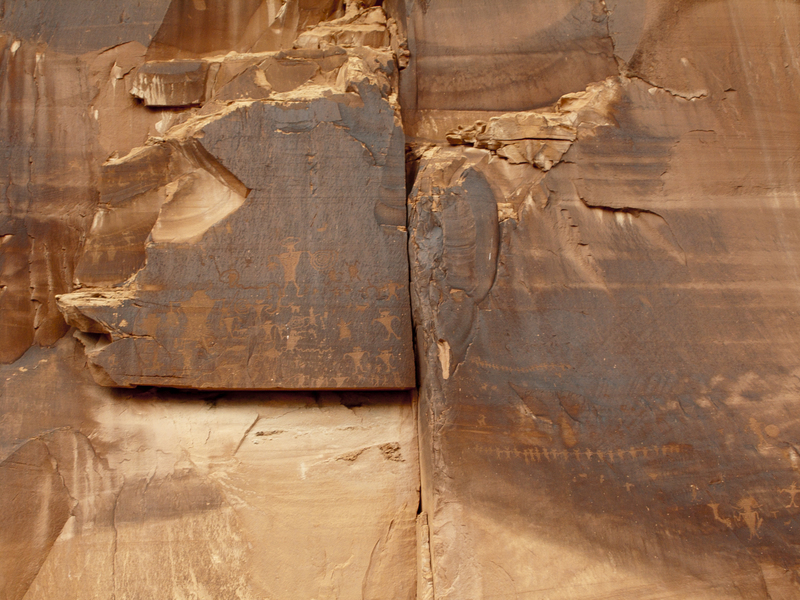 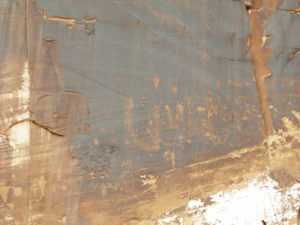 Here there are a number of Indian rock art panels (mostly petroglyphs) just a few feet from the road. 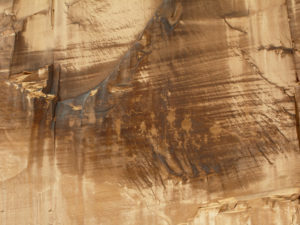 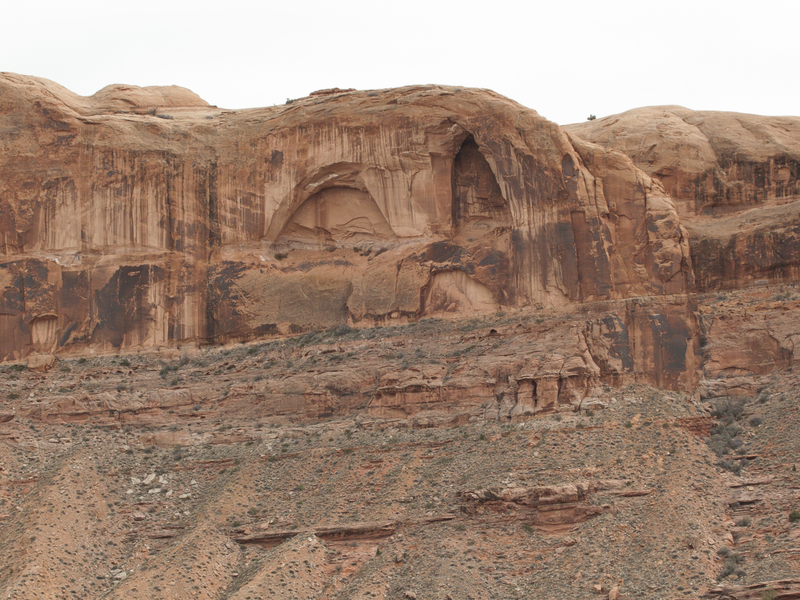 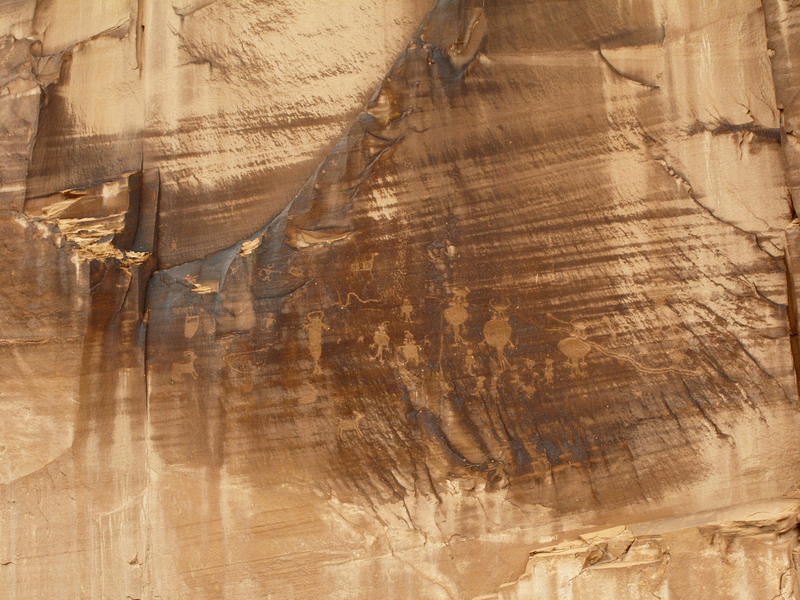 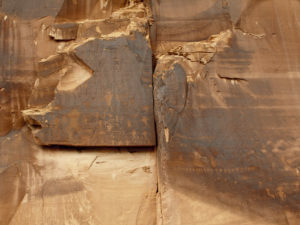 Just 5.8 miles from the Moab highway, at an area referred to as Williams Bottom, you can see a nice sized Class B natural arch in the high cliffs across the Colorado River. 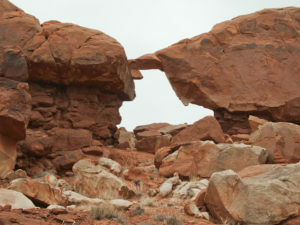 This is called Hidden Arch since most people never realize that it really is an arch. The north side of the river seems to get more sunshine on the side of the hills so I wasn’t surprised to see a few wildflowers already in bloom. 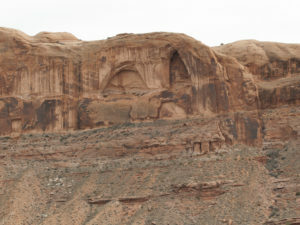 Then it was back to the Moab highway where we drove north again, turning to the east on the Blue Hills Road near the Moab airport. We headed east and then northeast to the Tenmile Road which took us to the Red Wash area. Here we wanted to search for a natural arch hidden in the rocks north of the road. 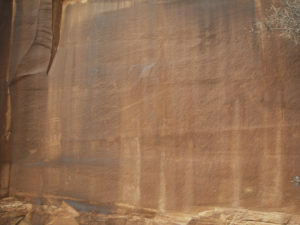 Red Wash Arch turned out to be a rather delicate Class C arch that really was quite well hid. 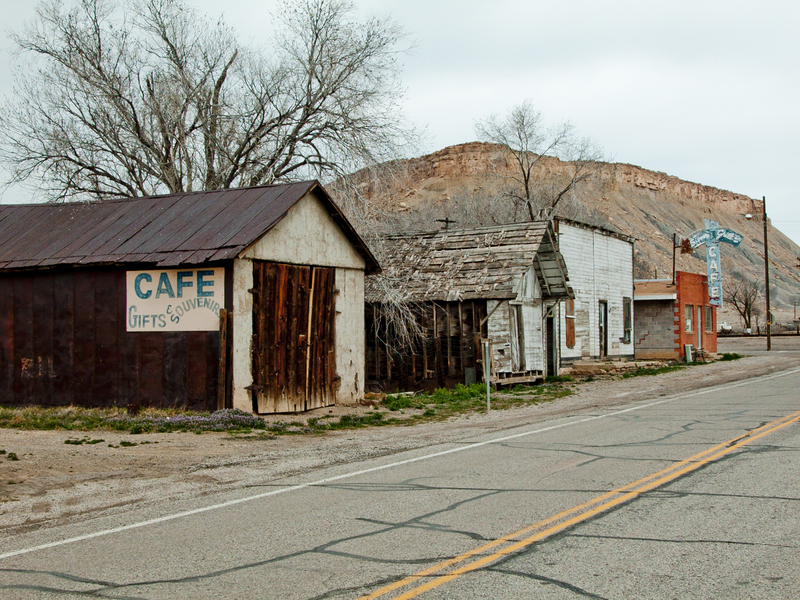 That pretty much burned up our daylight hours so we made our way back to the highway and headed home again.